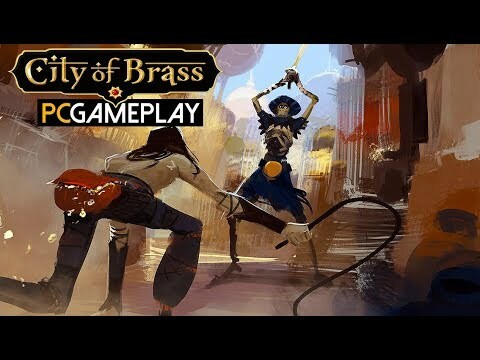 City of Brass is a merciless rogue-lite game in the oriental style of “1001 nights”. Your hero is armed with a saber and a whip. With the help of the whip, you can cling and activate mechanisms, neutralize traps and stun enemies, smash objects and simply attack enemies. Beat and chop, defeat the crowds of the dead with force and cunning. Your task is to manage to get to the next level until the last grain of time falls. Collect treasures and search chests, upgrade weapons and armor and find powerful artifacts. But do not hope for an easy walk, because the city itself is rebelling against you. You have to overcome deep dips, dodge deadly blades, evade spears, arrows and traps in the floor and avoid tanks with poisonous gas. And in each of these traps can lure enemies. Also in the city concluded jinn. Usually they are friendly and ready to offer you various rewards in exchange for collected loot or even to fulfill a wish.